I’m Angus Steakhouse pairs the finest Australian meats with superb international wines and world-class views over Darling Harbour. 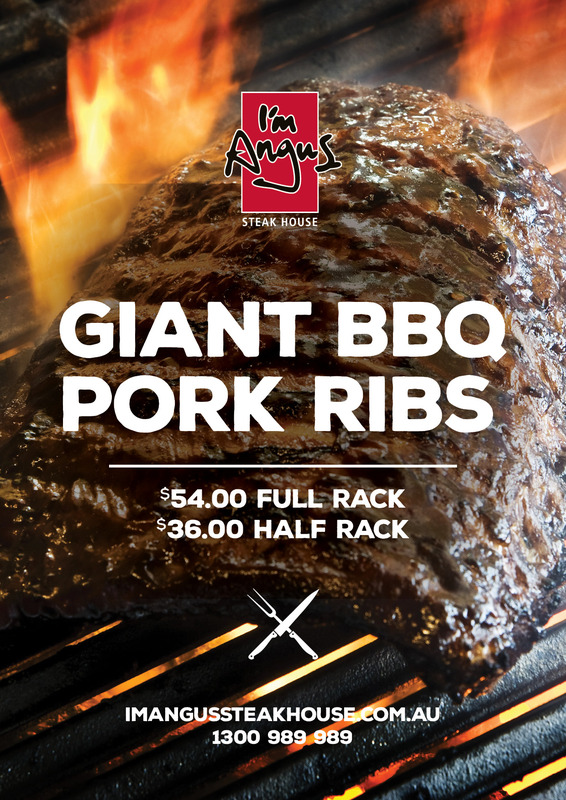 The Giant Ribs at I’m Angus steals the show, and we’ve got the best price for you to enjoy it! For just $54 you can indulge on these full rack of succulent and juicy Pork Ribs! Or if you’re after something smaller, the half rack is just $36!